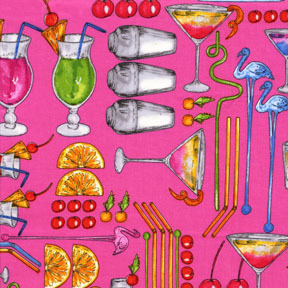 Where do you find summer sewing inspiration? When warm, sunny days are calling your name, it can be hard to make time for a little soul-soothing stitching. We've got inspiration and ideas to get you started! Between trips to the beach, farmer's markets, or even just running errands around town, nothing puts a spring in your step like a new bag. Plus, even if the bag is quilted, it's so much smaller than a quilt--you can finish it quickly without spending those sunshine-y days hidden away in your sewing room. 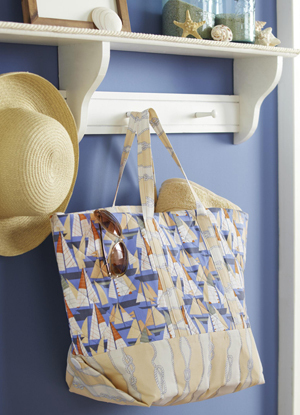 Try a nautical-themed tote using our beachy Cabana collection from Kanvas. The tote is designed by Joanie Holton and Melanie Greseth of Tailormade by Design and the pattern is featured in the Summer 2013 Quilts and More issue. 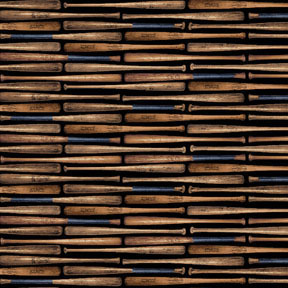 Find the kit and learn more about Tailormade by Design here. See the entire Cabana collection here. 2. 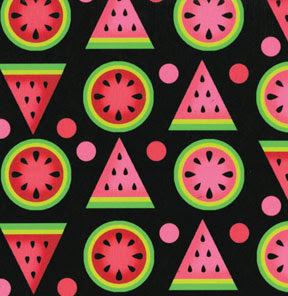 Nothing says "summer" like themed prints! 3. Can you say "panel quilt?" Nothing goes together faster--Add pieced borders for added interest--but the majority of the work is done for you. Little effort, big results! 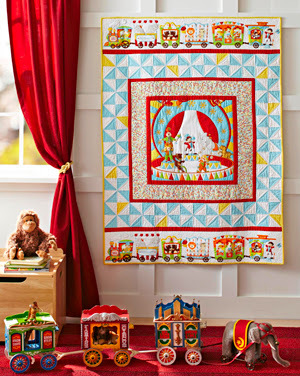 Kimberly Bourne's "Circus Circus" panel quilt, featuring her Under the Big Top fabric collection, is featured in the summer issue of 2013. Easy pinwheel blocks and a fussy-cut parade border enhance the main big top scene. Quick to sew, perfect for a little one. 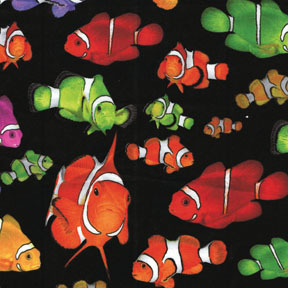 See the entire Under the Big Top fabric collection here. Have a Kindle, Nook, or other e-reader? A handmade case will keep it safe as you tackle that summer reading list, whether it's relaxing chick lit, inspiring biographies, or a murder mystery. 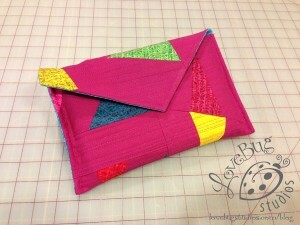 You can find Ebony Love's e-reader tutorial here on our blog. You'll be so glad to have it done when busy December rolls around. And, since the deadline is far off, even 15 minutes of sewing a day will get you there. 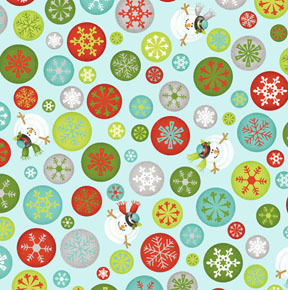 Starting next week, we'll be introducing our 2013 holiday fabric lines here on the blog and on Facebook, and our July blog hop will feature tutorials using these fabrics as well. Stay tuned!